For any Spyderco fans out there, you might be interested to know that they have recently updated the venerable Salt model. 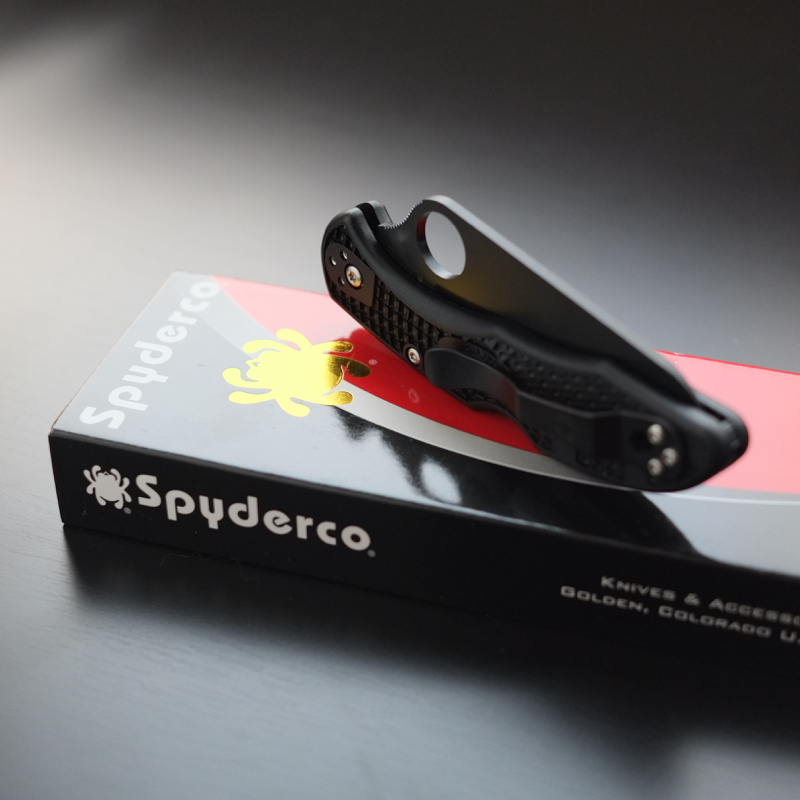 Imagine the recent Delica 4 — now add an H1 steel blade & titanium pocket clip, and remove the metal liners… voila, Spyderco Salt 2! Well, at least, that’s the Cliff Notes version. Something tells me this is going to become a favorite EDC blade for a lot of people, especially those that work and play around water, or in humid climates. Shown here is the “C88SBBK2” version, with a black, fully serrated blade. Also available are plain edge models, as well as those sporting a high-visibility yellow handle. Also shown below is a quick comparison shot between the Salt 2 and the Delica 4, where you can see the similarities between both folders.